Execute the following MySQL script in order to create a database named jack_rutorial_demo with a table named users. We will update pom.xml file to add the required dependencies for the following dependencies. 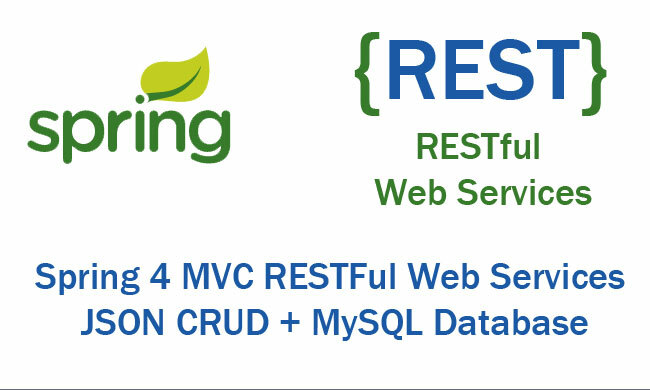 To configure Spring web MVC framework, we create class WebConfig, class WebInitializer in src folder with package name com.jackrutorial.config and write the following code in it. Create a User class under com.jackrutorial.model and write the following code in it. Create a UserDao interface under com.jackrutorial.dao and write the following code in it. 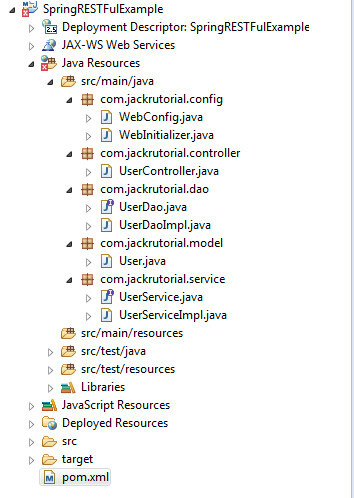 Create a UserService interface under com.jackrutorial.service and write the following code in it. Watch video add Apache Tomcat Server in Eclipse. Start Apache Tomcat from Eclipse Oxygen java.